You might have seen the bearings in your bicycle, but have you ever thought of their function or types of bearings? Most of the times, “No”. Don’t worry because, in this article, we will be learning all the bearing types. So, without taking much more time let us get started. 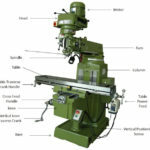 First of all, let us take a glance at the function and meaning of bearing. What is meant by bearing? 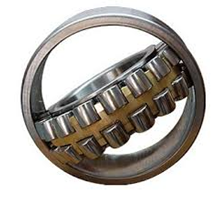 The bearing is a machine element which does the work of reducing friction between two moving parts to get the required motion. The word bearing has been originated from the verb “to bear”. Besides from reducing friction between two rotating parts, bearings also play the role of supporting thrust as well as radial load. The plain bearing is the easiest type of bearings, and it is often called as a sliding bearing or slide bearing. 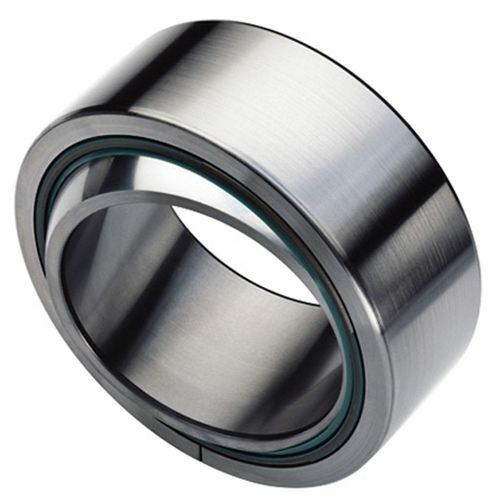 The key feature of this bearing is that it consists of only bearing surface and no rolling elements. 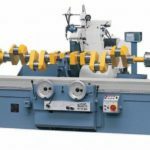 You can consider a shaft rotating in a hole as a plain bearing. Pillow block, stuffing box, and ring oiler are the additional elements which are required during the plain bearing. 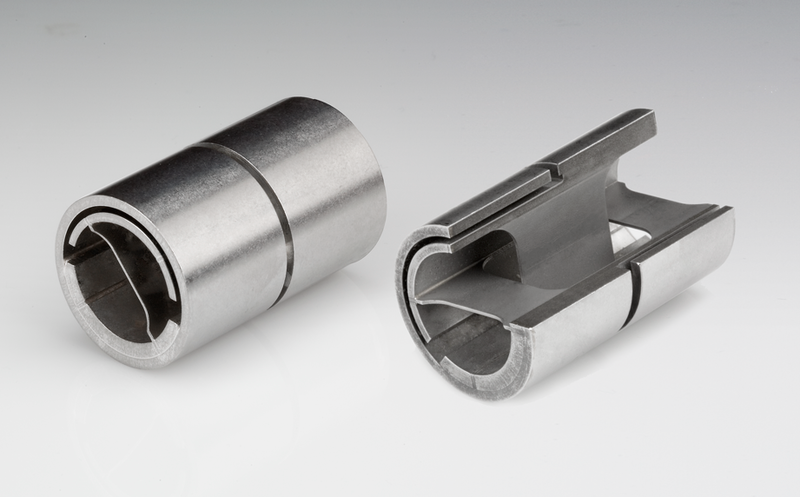 The bearing material must be durable as well as resistant to corrosion. The bearing material must be capable of resisting at higher temperatures. It is the type of the bearing in which load is carried out by positioning rolling elements inside the races. Races are nothing but the two bearing rings. 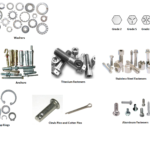 Generally, five rolling elements like a cylindrical roller, needle rollers, spherical rollers, tapered rollers, and balls are used as rolling elements in rolling element bearings. In ball bearing, the gap between the races is kept with the help of the ball. 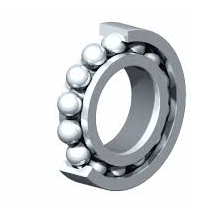 The width of the ball bearing is always less than the diameters of the ball used. 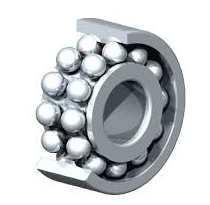 As per the name, in this bearing balls are arranged in an identical manner in one row. They have two rows of balls arranged in a specific manner, and they have two grooves cut. 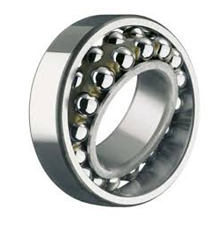 Such bearings are designed to bear angular as well as axial loads. Thrust ball bearings are used if you have to handle vertical thrust load. Sometimes, horizontal thrust load can also be operated with this bearing. 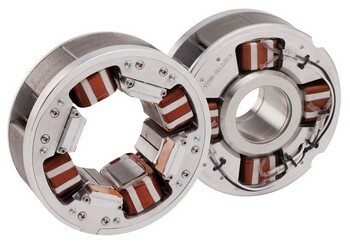 Below image shows this bearing. They are capable of withstanding journal loads. In this type of bearings, a cylinder is used, and it has a higher diameter than its length. This bearing has an arrangement like elliptical gears, and in this bearing, smaller satellite gears are present which perform their revolution around the center of bearing. 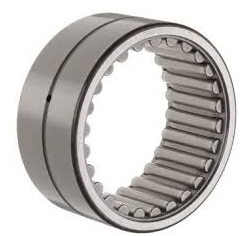 These bearings increase efficiency as well as it reduces the sliding friction. 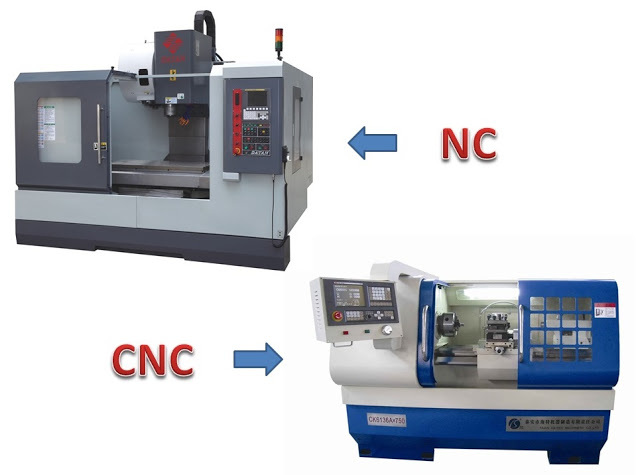 It is quite challenging to manufacture the gear bearings. Spherical roller bearing has an inner ring, outer ring, cages, spherical rollers, etc. 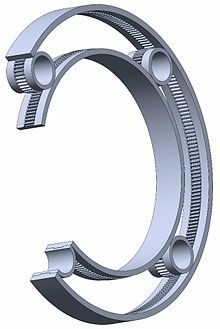 Companies like SKF, Timken, NTN Corporation manufacture this bearing, and it is used in gearboxes, pumps, wind turbines, drilling, and mining. 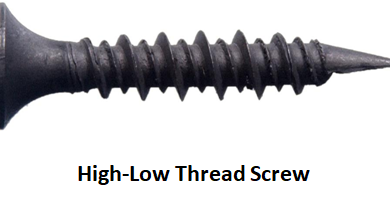 A needle roller bearing is made up of long, thin cylindrical rollers and it has the shape like needles. Due to the large surface area in contact with the races, they can withstand a larger load. In pumps, compressors we find the application of the needle roller bearing. MangusKellstrom invented the CARB bearing in 1995. The key feature of this CARB toroidal roller bearing is that its radius of curvature is much larger than its possible spherical radius. The main characteristic of the jewel bearing is that metal spindle is turned into a jewel-lined pivot hole. The benefits of the jewel bearings have small weight as well as size, low friction and their ability to work without any lubrication. If the given load is not axial then, it is not advisable to use the jewel bearing. These bearings are made up of sapphire or synthetic ruby. Their size may be extended up to 10 mm and they handle 500 gm of weight. 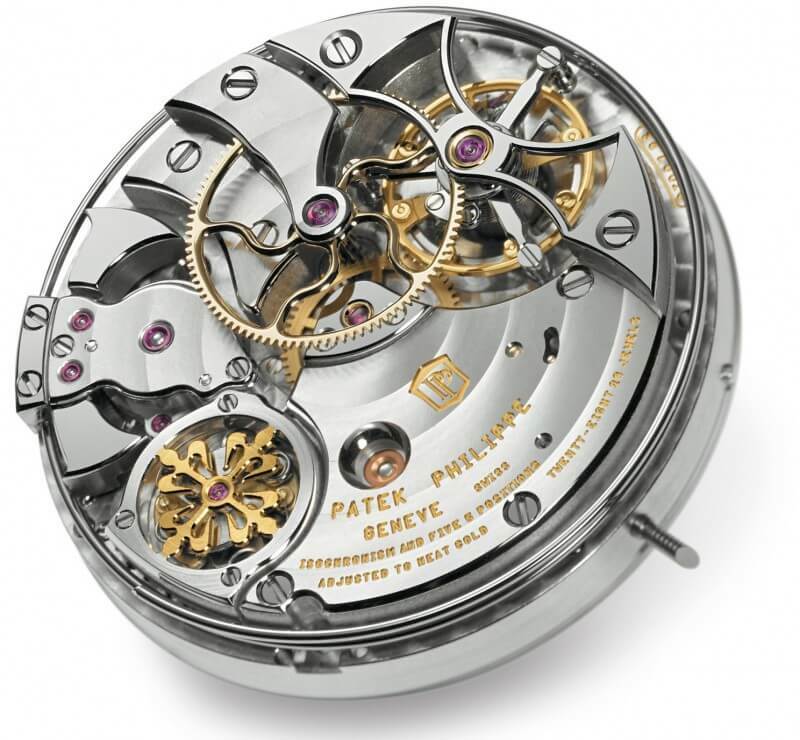 Jewel bearings are used in mechanical watches. They also find their applications in measuring instruments like gyroscopes, galvanometers, turbine flow meters, dial indicators, etc. A fluid bearing is a special type of bearing in which there is no sliding friction, wear or any vibrations. Fluid bearings have two types hydrostatic and hydrodynamic. This bearing depends on the part of the shaft resting on the fluid to pressurize fluid between its surfaces. This type of bearings is generally used in the electric motors, hydroelectric generators, cooling pumps, etc. The important feature of the hydrostatic fluid bearings is that they can handle heavy loads at the low speeds. 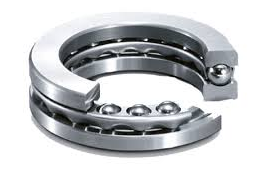 They are more durable bearings, and therefore, they have a longer life. Another advantage is that they give very low friction. In the magnetic bearing, the phenomenon of magnetic levitation is used to support the load. Compressors, turbines, pumps, motors, as well as generators, use the magnetic bearings. Nowadays, they are highly used in artificial hearts. Companies like Synchrony Magnetic bearings, Waukesha magnetic bearings, S2M are the most popular manufacturers of the magnetic bearing. The future scope of the magnetic bearings is very bright because a lot of research, as well as experiments, are currently going on these bearings. The main scope of such bearings is in the field of magnetic levitation trains. Magnetic bearings have two types- active magnetic bearing and passive magnetic bearing. Magnetic bearings are used in a vacuum, and they can operate without any lubrication. In the flexure bearing, a flexible element is manufactured in such a way that, it is suitable in specific degrees of freedom. 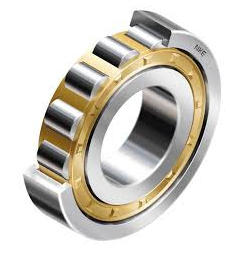 Flexure bearings are beneficial as they are simple, cheap and exhibits low friction. They have quite limited applications. 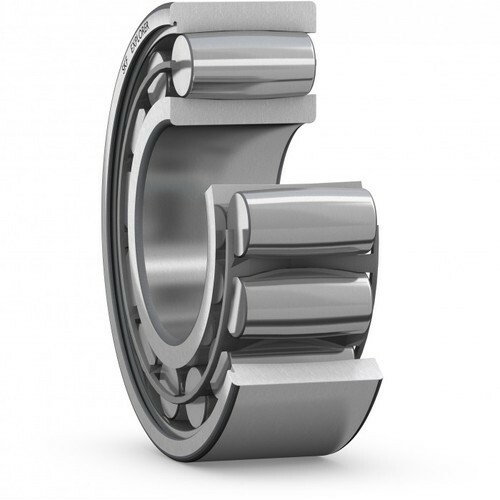 So, in this article, we covered six types of bearings. We hope that you got a pure value and knowledge inside this article. Thanks for reading this article and don’t forget to share this article maximum! 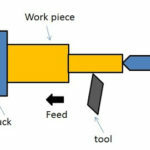 ← What is Vickers Hardness Test?